Magnesium is rightly called the miracle mineral. There are few minerals which attract so much attention and instigate so much scientific research. The reason is that it not only participates in over 300 biochemical reactions in the body, but helps maintan so many bodily functions, such as the normal muscle and nerve function, steady heart rhythm, normal blood pressure, healthy immune system and strong bones. It also helps maintain the blood sugar at normal levels. It plays a vital role in preventing heart disease, diabetes, cancer, osteoporosis and a whole range of other dangerous and debilitating diseases. Magnesium is the fourth most abundant mineral in the body. About half of the total body magnesium is found in bones. The other half is found mostly inside cells of body tissues and organs. Only 1% of magnesium is found in the blood where it plays a vital role, so the body works very hard to keep the blood magnesium levels constant. “Magnesium plays an important role in maintaining the integrity of the myocardium, kidneys, and bone. Its deficiency has been shown to cause cardiomyopathy in several animal species, and to intensify myocardial lesions caused by a variety of modalities. Its deficiency has caused arteriosclerosis and has intensified formation of atheromata, or arteriosclerosis, thrombosis, and even myocardial infarction, induced by atherogenic diets, high intakes of vitamin D, calcium, phosphate, and fat. Its deficiency has caused renal lesions and intensified damage produced by vitamin D, calcium, and phosphate. And its deficiency has been implicated in some forms of bone damage. Magnesium supplementation has prevented or reversed some of the lesions in the experimental models and been used clinically in cardiovascular disease and urolithiasis”. According to American nutrtionists, an average adult needs 200mg more magnesium per day than is obtained from a diet. The fact is, that dietary magnesium is not sufficient in providing the body with this important mineral. “Early signs of magnesium deficiency include loss of appetite, nausea, vomiting, fatigue, and weakness. As magnesium deficiency worsens, numbness, tingling, muscle contractions and cramps, seizures, personality changes, abnormal heart rhythms, and coronary spasms can occur. Severe magnesium deficiency can result in low levels of calcium in the blood (hypocalcemia). Magnesium deficiency is also associated with low levels of potassium in the blood (hypokalemia). “Open and controlled trials have established the clinical and paraclinical pattern of chronic magnesium deficiency (CMD). Whatever the age nervous consequences must be first studied: clinical and paraclinical symptoms of latent tetany (hyperventilation syndrome, chronic fatigue syndrome, spasmophilia, cryptotetany) with or more often without ‘idiopathic’ mitral valve prolapse (idiopathic Barlow’s disease, Da Costa syndrome, soldier’s heart, effort syndrome, neurocirculatory asthenia) with or without pseudoallergy (through peripheral hyperreceptivity) more often than allergy (type I mainly). The non-specific pattern of this symptomatology brings the patient to consult a wide range of specialists as well as the general practitioner. It includes non-specific central, peripheral and autonomic manifestations. The neurotic, or rather, ‘central’ symptoms consist of anxiety, hyperemotionality, fatigue, headaches (and sometimes migraine), insomnia, light-headedness, dizziness, nervous fits, lipothymiae, sensation of a ‘lump in the throat’, of ‘nuchalgia’ and ‘blocked breathing’. The peripheral signs are acroparaesthesiae, cramps, muscle fasciculations and myalgiae. The functional disorders include chest pain, sine materia dyspnoea, blocked respiration, precordialgia, palpitations, extrasystolae, dysrhythmias, Raynaud’s syndrome, trends to orthostatic hypotension or conversely to borderline hypertension. In fact, the dysautonomic disturbances involve both the sympathetic and the parasympathetic systems”. The levels of magnesium in the body are depleted due to a number of factors, such as stress – physical and mental, certian medications (e.g. insulin, diuretics, some asthma medications, birth control pills, corticosteroids), extreme physical training, chemical toxins getting into the body from the environment, excessive intake of sodium chloride (table salt), sugar, caffeine, alcohol, nicotine, cocaine, fizzy drinks (especially colas), intense sweating, diarrhoea, etc. Age is another factor which plays a major role in magnesium deficiency. The health status of the digestive system and the kidneys significantly influence magnesium status. Magnesium is absorbed in the intestines and then transported through the blood to cells and tissues. Approximately one-third to one-half of dietary magnesium is absorbed into the body. Gastrointestinal disorders that impair absorption such as Crohn’s disease can limit the body’s ability to absorb magnesium. These disorders can deplete the body’s stores of magnesium and in extreme cases may result in magnesium deficiency. Chronic or excessive vomiting and diarrhea may also result in magnesium depletion. Who may require extra magnesium? “Magnesium supplementation may be indicated when a specific health problem or condition causes an excessive loss of magnesium or limits magnesium absorption. Individuals with poorly-controlled diabetes may benefit from magnesium supplements because of increased magnesium loss in urine associated with hyperglycemia. Magnesium supplementation may be indicated for persons with alcoholism. Low blood levels of magnesium occur in 30% to 60% of alcoholics, and in nearly 90% of patients experiencing alcohol withdrawal. Anyone who substitutes alcohol for food will usually have significantly lower magnesium intakes. Individuals with chronic malabsorptive problems such as Crohn’s disease, gluten sensitive enteropathy, regional enteritis, and intestinal surgery may lose magnesium through diarrhea and fat malabsorption. Individuals with these conditions may need supplemental magnesium. Magnesium is an essential element for the heart. People suffering from heart problems have low magnesium and high calcium levels in the heart muscle. High calcium levels constrict the arteries, making them rigid and reducing their elasticity, which increases the rate of heart attacks. Also, artherosclerosis is the condition which involves calcium deposits in the arterial walls. Magnesium, on the other hand, dilates the arteries and lowers cholesterol deposits in the arterail walls, thus reducing the high blood pressure and a risk of heart attacks and strokes. Worldwide, the intake of magnesium has decreased and that of calcium has increased – due the high use of fertilisers high in calcium and low in magnesium. This (and of course other factors, such as unhealthy diet and lifestyle) has resulted in the unprecedented increase in the number of people dying from heart conditions. Potassium (coming from fertilisers) is thought to be another culprit for depeltion of magnesium levels in soils and in our diets. Areas where the soil is low in calcium and potassium and high in magnesium show a much smaller rate of conditions connected with magnesium deficiency. In her article “MAGNESIUM IN ONCOGENESIS AND IN ANTI-CANCER TREATMENT: INTERACTION WITH MINERALS AND VITAMINS”, Mildred S. Seelig, M.D., M.P.H. says that magnesium deficiency can both decrease and paradoxically protect against cancer. For example, magnesium supplementation of those who are magensium-deficient (e.g. chronic alcoholics) may protect them against developing some tumours. “A growing body of evidence suggests that magnesium plays a pivotal role in reducing cardiovascular risks and may be involved in the pathogenesis of diabetes itself. While the benefits of oral magnesium supplementation on glycemic control have yet to be demonstrated in patients, magnesium supplementation has been shown to improve insulin sensitivity. Based on current knowledge, clinicians have good reason to believe that magnesium repletion may play a role in delaying type 2 diabetes onset and potentially in warding off its devastating complications – cardiovascular disease, retinopathy, and nephropathy”. He goes on to say that intracellular free magnesium levels are lower in patients with diabetes than in the general population. This is an important finding, since magnesium plays a crucial role in many enzymatic reactions involved in metabolic processes. Insulin stimulates the transport of magnesium from the extra-cellular to the intracellular compartment. “Insulin resistance – central to type 2 diabetes – is associated with reduced intracellular magnesium and can be mitigated with magnesium. It has been demonstrated that insulin resistance in skeletal muscle can be reduced by magnesium administration”. Use of loop and thiazide diuretics promotes magnesium wasting”. “There are potential benefits supporting the use of magnesium supplementation in persons who have diabetes or risk factors for diabetes (Table 3). Increased magnesium intake is associated with decreased risk of developing type 2 diabetes in populations. In a prospective study of almost 85,000 women, the relative risk of diabetes for women in the highest quintile of magnesium consumption was 0.68 when compared with women in the lowest quintile (Figure 2). Oral magnesium supplementation is contraindicated in patients with significant renal impairment”. “In a study from Taiwan, the risk of dying from diabetes was inversely proportional to the level of magnesium in the drinking water (Figure 4). This was all the more striking because the greatest increase in chronic disease mortality in Taiwan since 1970 has been due to diabetes. Because the dysregulation caused by a chronic latent magnesium deficit is probably more important than clinical hypomagnesemia in the pathogenesis of diabetes, this may suggest that dietary magnesium (including that in a water supply) is protective against diabetes and its dreaded complications”. “Magnesium in the management of asthma: critical review of acute and chronic treatments, and Deutsches Medizinisches Zentrum’s (DMZ’s) clinical experience at the Dead Sea. The recognition of asthma as an inflammatory disease has led over the past 20 years to a major shift in its pharmacotherapy. The previous emphasis on using relatively short-acting agents for relieving bronchospasms and for removing bronchial mucus has shifted toward long-term strategies with the use of inhaled corticosteroids, which successfully prevent and abolish airway inflammation. Because some of the biological, chemical, and immunological processes that characterize asthma also underly arthritis and other inflammatory diseases, and because many of these conditions have been successfully treated for the past 40 years at the Dead Sea, we were not surprised to realize and record the significant improvement of asthmatic condition after a 4-week stay at the Dead Sea: lung function was improved, the number and severity of attacks was reduced, and the efficacy of beta2-agonist treatments was improved. After reviewing the acute and chronic treatments of asthma in the clinic (including emergency rooms) with magnesium compounds, and the use of such salts as supplementary agents in respiratory diseases, we suggest that the improvement in the asthmatic condition at the Dead Sea may be due to absorption of this element through the skin and via the lungs, and due to its involvement in anti-inflammatory and vasodilatatory processes”. “Decreased serum and intracellular levels of magnesium have been reported in patients with migraine. It has been suggested that magnesium may play an important role in the attacks and pathogenesis of headachesâ€¦It is suggested that reduced platelet ionized magnesium in patients with tension-type headache is related to abnormal platelet function, and that increased platelet cyclic AMP in patients with migraine is related to alteration of neurotransmitters in the platelet”. Leg cramps are sudden, involuntary contractions of the calf muscles or mauscles in the soles of the feet that occur during the night or while at rest. The cramps can affect people in any age group. There may be various causes for this to happen. Scientific research has not identified a precise reason for muscel cramps. However, it may be due to the nerves controoling the muscles rather than the muscles themselves. The cramps can be caused by overexertion of the muscles, structural disorders ( such as flat feet), prolonged sitting, standing on hard surface, inappropriate leg positions, or dehydration. Less common causes include diabetes, hypoglycemia, anaemia, thyroid and endocrine dysfunction, Parkinson’s and certain medications. Low levels of certain minerals acting as electrolytes in the body – they include magnesium, potassium, sodium and calcium – have long been linked to leg cramps. It especially affects long-distance runners and cyclists. Diuretics can also cause leg cramps, as well as pregnancy. To prevent cramps from happening, consider the regular use of supplements, especially magnesium, potassium, calcium and sodium (be careful with sodium and take it only if it is low or if you sweat a lot). Stretch your calf muscles regularly. Heat applications for 10-15 minutes before going to sleep helps a lot. Applying a “Bishofit” compress (warmed up) to the calf area for 1-2 hours (or even overnight) helps to replentish magnesium and relax the the calf muscles. Osteoporsis is mostly associated with the menopause and the changes that happen to the bone with age. There is growing evidence that osteoporosis is influenced by the levels of calcium, vitamin D, fluoride, phosphorus, magnesium, as well as trace minerals, such as copper (Cu), zinc (Zn) and manganese (Mn) which are essential co-factors in bone metabolism enzymes. In conclusion, although magnesium undoubtedly plays a major role in preventing and treating osteoporosis, its supplementation should go along with other minerals and vitamins for a balanced and productive response of the body systems to the treatment. The overall importance of nutrition to favorable perinatal outcome is only beginning to be fully appreciated. Although nutritional status can be linked to such things as socioeconomic class and education, it is nutrition directly that exerts a biologic effect. This review has attempted to look at three elements and their relationship to maternal and fetal outcome. At the present time, there does not seem to be a role for routine magnesium supplementation during pregnancy. Magnesium deficiency, as an isolated nutritional deficiency, is rare, and the evidence is, at best, weak that magnesium supplementation reduces the risk of poor perinatal outcome. Zinc deficiency is also a very rare isolated nutritional finding. Our ability to measure zinc accurately, be it in leukocytes or serum, is improving, but the routine use of zinc supplements during pregnancy cannot be recommended at this time. It may be that zinc will be a useful diagnostic marker, rather than a therapeutic intervention. There is substantial evidence that the average American diet does not contain sufficient calcium. An expansive literature continues to grow in the areas of calcium and colon cancer, calcium and breast cancer, calcium and hypertension, and calcium and osteoporosis. Is it possible that our susceptibilities to these problems begin in utero? Obviously, the answer is unknown. What is known is that supplemental calcium to some degree is needed in the diets of most Americans and in about two thirds of pregnant women. Calcium supplementation seems to affect blood pressure favorably and, pending confirmation with larger trials, may significantly reduce prematurity and preeclampsia risk, thus improving perinatal outcome for a large number of our high-risk patients”. “Two recently published studies suggest that a possible organic explanation for Chronic Fatigue exists. The studies were conducted by Dr. Michael J. Campbell, a medical statistician at Southampton General Hospital. Ivan M. Cox, a medical student at the University of Southampton and Dr. David Dowson, a Southampton physician. The patients were not aware which treatment they were receiving. Before and after the treatment, patients completed a questionnaire asking about their energy levels, pain, perception, sleep patterns, sense of social isolation, emotional reactions and physical mobility. Antiarrhythmic effects of increasing the daily intake of magnesium and potassium in patients with frequent ventricular arrhythmias. Magnesium in Cardiac Arrhythmias (MAGICA) Investigators. OBJECTIVES: This study sought to assess potential antiarrhythmic effects of an increase in the daily oral intake of magnesium and potassium in patients with frequent ventricular arrhythmias. BACKGROUND: Magnesium and potassium contribute essentially to the electrical stability of the heart. Despite experimental and clinical evidence for the antiarrhythmic properties of the two minerals, controlled data in patients with stable ventricular arrhythmias are lacking. METHODS: In a randomized, double-blind study, 232 patients with frequent ventricular arrhythmias (> 720 ventricular premature beats [VPBs]/24 h) confirmed at baseline and after 1 week of placebo therapy were subsequently treated over 3 weeks with either 6 mmol of magnesium/12 mmol of potassium-DL-hydrogenaspartate daily or placebo. RESULTS: Compared with placebo pretreatment, active therapy resulted in a median reduction of VPBs by -17.4% (p = 0.001); the suppression rate was 2.4 times greater than that in patients randomized to 3 weeks of placebo therapy (-7.4%, p = 0.038). The likelihood of a > or = 60% (predefined criterion) or > or = 70% suppression rate (calculated from the placebo-controlled run-in period) was 1.7 (25% vs. 15%, p = 0.044) and 1.5 times greater in the active than in the placebo group (20% vs. 13%, p = 0.085), respectively. No effect of magnesium and potassium administration was observed on the incidence of repetitive and supraventricular arrhythmias and clinical symptoms of the patients. CONCLUSIONS: To our knowledge, this study is the first to provide controlled data on the antiarrhythmic effect of oral administration of magnesium and potassium salts when directed to patients with frequent and stable ventricular tachyarrhythmias. A 50% increase in the recommended minimum daily dietary intake of the two minerals for 3 weeks results in a moderate but significant antiarrhythmic effect. However, with the given therapeutic regimen, repetitive tachyarrhythmias and patient symptoms remain unchanged. “Exercise under certain conditions appears to lead to Mg depletion and may worsen a state of deficiency when Mg intake is inadequate. Whereas hypermagnesaemia occurs following short term high intensity exercise as the consequence of a decrease in plasma volume and a shift of cellular magnesium resulting from acidosis, prolonged submaximal exercise is accompanied by hypomagnesaemia”. “Experiments on animals have shown that severe Mg deficiency reduces physical performance and in particular the efficiency of energy metabolism”. “Several studies have been performed to test the effect of using oral Mg supplementation on muscular work performance. A 4-week administration of Mg to athletes increased their physical performance. This amelioration was shown by registering the maximum oxygen consumption as well as the PWC170, using both a running board and bicycle ergometry 78. Mg supplementation resulted in a significant decrease in protein release from the muscle cells during a marathon run and total creatine kinase (CCK) in serum increased less 79-80. Mg supplementation has a significant effect on respiration indices and improves lactate elimination in competitive rowers during exhaustive simulated rowing. In moderately trained subjects, the effects of magnesium supplementation were tested on some cardiorespiratory variables monitored during a 30 min submaximal effort test 81. In the Mg group, a significant decrease was found in blood pressure, heart rate and oxygen consumption. The results indicate that magnesium supplementation induces an overall improvement in cardiorespiratory performance”. Magnesium levels can also be increased by intravenous and transdermal methods. “Bishofit” is the most suitable product for the transdermal supplementation of magnesium. Magnesium can be introduced into the body orally (supplementation by mouth), intravenously (injections), enterally (enemas) and transdermally (through the skin – absorption method). Following is the information on the oral, intravenous and transdermal methods. Magnesium is a well-known laxative, and here lies the main problem with oral application of magnesium. 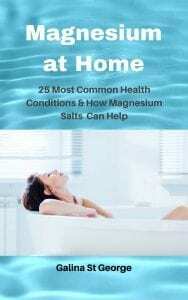 The success of its absorption depends on the time magnesium needs to spend in the gastro-intestianl tract, which, according to research, should be no less than 12 hours. There are various forms of magnesium. Magnesium chloride is considered to be the most easily absorbasble form among them. It is one of the most common forms of magnesium which comes from the sea or underground deposits (as is the case with the ‘Bishofit’ products). Magnesium chloride is well tolerated, but it is released in the stomach (upper gastro-intestianl tract), where it reacts with calcium, so its absorption by the body is impaired. Magnesium is absorbed in the lower parts of the intestines – namely the colon, where it is transported by the circulatory system to the body tissues. The intake of magnesium by the body depends very much on the health of the digestive and renal system. Approximately one-third to one-half of dietary magnesium is absorbed into the body. Gastrointestinal disorders (e.g. Crohn’s disease, IBS) will impair magnesium absorption. Drugs may interfere with magnesium absorption – magnesium binds with some of them. Phosphates in colas also bind with magnesium. 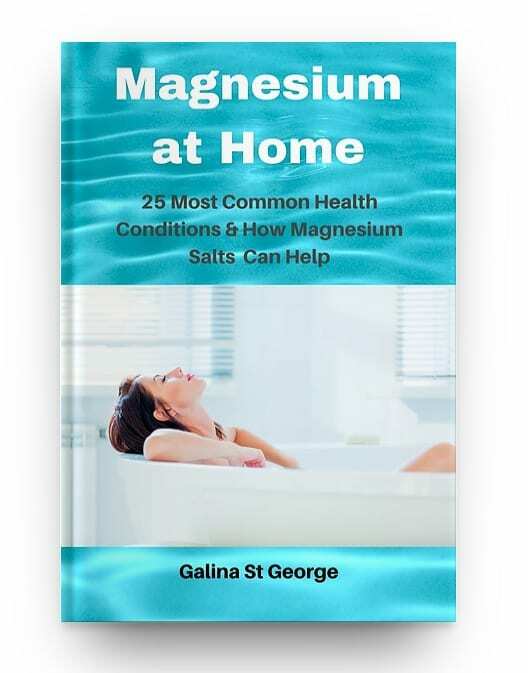 “There is no specific information about oral magnesium chloride in liquid form but it is reasonably safe to assume it would be more absorbable than magnesium taurate. Liquid minerals are thought to be much more absorbable than tablets. swiftly into the bloodstream for distribution to all the cells of the body. “Dr. Raul Vergin offers the following guidelines for oral intake of a 2.5% Magnesium Chloride hexahydrate (MgCl2-6H2O) solution (i.e. : 25 grams or approximately one ounce of pure food grade powder in a liter of water). The quantity of elemental magnesium contained in a 125 cc (cubic centimetre) dose of the 2.5% solution is around 500 mg.
“Dr. Norman Shealy MD, Ph.DC. one of the founders of the Holistic Medical Society and expert in pain management who holds patent on the TENS unit investigated the benefits of a 25% magnesium chloride oil and has found that it is effectively absorbed through the skin and significantly raises magnesium levels. Here he shows the typical results of a 25% magnesium oil used in foot baths . A 50% solution was used for the body spraying. Please note that now we have an oil available and recommended by the IMVA, that is 35% magnesium chloride, and comes directly from the sea with lower toxicity levels than the solution used in this study and which will raise levels even faster than this information shows. 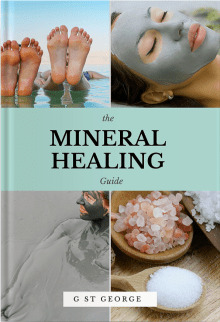 “Our purpose was to research whether or not magnesium was absorbed through the skin. Exclusion factors included anyone taking oral or IV magnesium during the last 6 weeks and smokers. Individuals sprayed a solution of 50% Magic Oil over the entire body once daily for a month and did a 20 minute foot soak> in Magic Oil once daily for a month. Subjects had a baseline Intracellular Magnesium Test documenting their deficiency and another post-Intracellular Magnesium Test after 1 month of daily soaks. “Intravenous as well as transdermal administration of magnesium bypass processing by the liver. Both transdermal and intravenous therapy create “tissue saturation”, the ability to get the nutrients where we want them, directly in the circulation, where they can reach body tissues at a high doses, without loss. Intravenous administration is riskier though as an emergency medicine it most certainly has its place”. Magnesium Chloride can also be used as a deodorant – sprayed or applied otherwise under the arms. Not only does it eliminate the unpleasant ordours, but is also effectively delivers a dose of magnesium to the body through the soft and porous skin of the armpits. Spraying Magnesium Chloride on the body is a very effective and economical way of transdermal application of this mineral. It delivers Magnesium for internal body processes and is an excellent remedy for various skin conditions, as well as a prophylactic measure. However, transdermal application methods are of most interest to us, since they represent the easiest, safest and most practical way which can also be safely used at home. There is normally no danger of overdosing with this method. ‘Bishofit’ products as marketed by Medicina (UK) Ltd are an excellent chioce for such transdermal applications of Magnesium. How can magnesium be applied transdermally? Spays (very effective and economical way of getting required doses of magnesium and maintain healthy skin condition). Underarm deodorant (sprayed or applied otherwise) – removes unpleasant ordours and delivers magnesium throught the skin. Body/face wash (similar to spays). Mouth wash, gargle – diluted. Can be used to deal with infections and halitosis. Low concentrations can be used for nose washes, sitz baths / vaginal douches to deal with infections. Some people may find that pure magnesium oil may irritate their skin. If this happens, make a pause in the treatments until the irritation goes away and try diluted solutions. Only diluted ‘Bishofit’ should be used for transdermal applications for children and people with sensitive skins. Russian doctors recommend using up to 2 litres of “Bishofit” (4 bottles) per a bathful (50 litres) of water for a strong action. However, 250-500ml is enough to achieve a therapeutic effect. Spays/washes can be used as a much more economical alternative. Spraying Magnesium Chloride on the body or using it as a wash/rinse is a very effective and economical way of transdermal application of this mineral. It delivers magnesium for internal body processes and is an excellent remedy for various skin conditions, as well as to prevent magnesium deficiency and a variety of conditions associated with it. For a large adult, spraying the body with one ounce (25 ml) of “Bishofit” is sufficient. A small adult or a child will require less. For people with muscle injuries concentrated magnesium baths or several alternative applications a day should be used. Footbaths – 2 ounces (50ml) will make a very effective footbath when mixed with warm water. Spraying it on the body will result in a higher magnesium concentration on the skin. 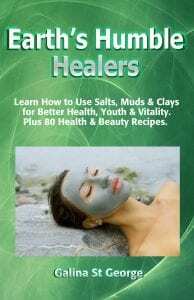 Therefore, an ounce used that way will result in more magnesium absorbed than several ounces or even more used in a bath. Add 25-50ml (1-2oz) of “Bishofit” to 5-6 litres of warm water for a pleasant and relaxing foot bath. Good and economical way to get regular doses of magnesium into your body. Dilute 25ml (1oz) of “Bishofit” in 1 glass (250ml) of warm water (1:10). Can be used as a vaginal douche for minor infections. Same dilution but a larger amount can be used in a sitz bath. Use the same dilution as for a vaginal douche. Gargle, spray/ rinse mouth/ throat to fight infection, strengthen teeth and revitalize the gums. A few sprays of “Bishofit” (use diluted product to avoid irritation) under each armpit works both as an effective deodorant and to transport magnesium into the body systems through the lymphatic nodes positioned in the armpits. It can also be applied by hand. Spray/wash feet with it to achieve the same effect. “Bishofit” is especially effective when used as a massage medium. It has an oily consistency which makes it very suitable for massage. Massage speeds up circulation, opens up pores and raises the skin temperature by attracting blood to the area. This improves the absorption by the body of Magnesium and other minerals contained in “Bishofit”. Dilute the product if necessary to suit each particular skin type. Bishofit also comes in a gel form called “Bisholin” – we are currently working on its CE certification, so it should be arriving on the market soon. It is an excellent massage medium and is recommeneded for all massage, physio and sport therapists. “Bisholin” is a milder form of “Bishofit”, so it is more suitable for people with sensistive skin and children. Add “Bishofit” to clay and mud packs and body wraps, compresses and poultices. Such applications ensure a more prolonged action and therefore stronger effect on the body due to the fact that they stay on the body much longer than any other applications and in a more concentrated form. 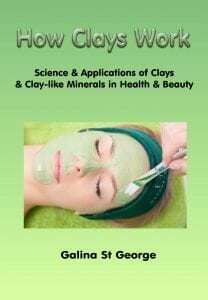 Also, muds and clays have a thermal effect on the body raising the skin temperature under the application. This is especially useful in the treatment of arthritis, muscle aches and pains, musculo-skeletal disorders, as well as any other conditions associated with magnesium deficiency. Magnesium. It answers many questions. I am glad that you have found this website useful. Sports people are especially in need of this mineral, because we loose a lot of it during exercise. Drinking carbonated drinks adds to magnesium deficiency. Transdermal supplementation is the quickest way to top up magnesium levels in our bodies, especially with regular applications. Let me know how it goes for you! Will magnesium injections affect the kidneys? It is often not recommended to take mag supplement if one has kidney disease or renal failure. ….but I assume transdermal is safer as it goes to cellular levels? So what about injections? I cannot give you advice regarding injections. Transdermal magnesium applications are considered safe, since they bypass digestion. I suggest that you consult your doctor for qualified advice on using magnesium injections when having renal problems.